Pizza businesses are one of the easiest businesses to own and operate because in part there are few ingredients to manage and in part because the product is easier to put together into a great meal. And when a good pizza business comes on the market, they don't last! And when a profitable one comes to market with good tax returns, they certainly don't last! This pizza business for sale has been profitable for many years. This pizza business has serviced the community for more than 6 years with great product and services, receiving an average Yelp review of four stars! That's tough to do and shows how well run this business is. The business should end 2015 with sales of about $530,000 and an owner's cash flow in the area of about $82,000, making this a great deal at only 1.7 times 2015 estimated owner cash flow. 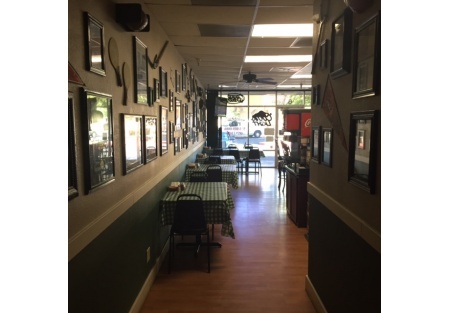 The business is well maintained, clean and ready for a new owner to take it to the next level of business. The current owner needs a break from the business after more than ten years of running this business and is willing to teach you the business. There is a van included in this price.